I've enjoyed this blog so much. I love the Fall. I found this blog last year and the Fall was one of my favorite movie. This is before I knew I'd be going to India for a semester. 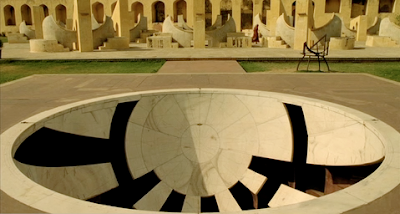 About three weeks ago I visited Jantar Mantar in Jaipur. It was a very interesting place. The movie makes it look a lot larger than it actually is but it was still never nice looking.